Excellency Ersin Faikzade', Author,Singer,international volunteer and artist, A Golden voice, an interpretation in which the music is transformed into a play. He have been confessed with his projects what has voluntarily carried out for disabled people. IHRC desiganited him on outstanding services for Mankind as the " Ambassador at large for Humanity"
Ersin Faikzade is an international volunteer, a singer and a writer. He was born in 1982 in Izmir, Turkey, where he has completed the elementary and secondary school. He has developed and consolidated his tenor technique through combining his interest in music (which started at an early age) with his studies. After his mother got Multiple Sclerosis, Faikzade devoted himself to the sick and needy. With this objective in mind, He has given many free concerts for various charities and organizations in Turkey,Europa,Asia and Latin America. Through his participation in international humanitarian projects he particularly aims to help those who are struggling with the Down's Syndrome, Multiple Sclerosis, Leprosy and Cancer. He worked as a volunteer for various projects. Faikzade also participated in the project Plast Lluest Day Service, a project supported by the European Union, which pursues a better quality of life for the mentally disabled. Therefore he has lived with the disabled for 12 months in the region of Wales. Meanwhile he has undertaken cultural and social activities with autistic children and people with the Down syndrome. His objective was to cure them with his music. Apart from that, Faikzade has also worked for the Oxfam Foundation and the Diana Memorial Fund/Foundation. He takes Diana’s love and caring for other people as an example for himself and was even given the Order of Welsh due to his articles about Diana and his services for the Diana Foundation/Fund. Persian,Arabic and English songs. The subject of many of his songs is, for the most part, romantic ballads. religion nor nationality in many parts of the world. "THERE IS MAGNET IN YOUR HEART THAT WILL ATTRACT TRUE FRIENDS.THAT MAGNET IS UNSELFISHNESS,THINKING OF OTHERS FIRST.WHEN YOU LEARN TO LIVE FOR OTHERS,THEY WILL LIVE FOR YOU." By taking advantage of the universal binding character of music Faikzade aims to strengthen international dialogues regardless of religion, language, social class or background. Therefore, but also to promote Turkish music, he has given concerts in various places in Europe and Latin AMERİCA . In January 2009 he has promoted Turkish music by participating in the Intercultural Dialogue Project of the European Young in Palermo, which was organised by the Sicily European Union Commission.Also he worked in Pakistan,Paraguay,Argentina,Chile,Brazil,İtaly,France ,England too. did a duet of Friendship and Peace. Persian & Turkish and Spanish & Turkish duets so loved all over the world. His writings on biography, history, health and travelling were published in various media. Faikzade is particularly known for his publications on Princess Diana, Princess Süreyya Esfandiary an Empress Farah Pahlavi. Thanks to the internet, his documentaries on these issues have reached numerous countries. Fan sites have been set up in different countries highlighting especially his artist personality and his humanitarian activities. In Turkey, Ersin Faikzade is a member of the Buca Disabled Society, the Multiple Sclerosis Society, the Fight Against Leprosy Association, the Antalya People-Who-Do-Not-Know-Barriers Association, the Turkish Education foundation (TEV) and the Mothers Association. On International level he is a member of the European Union Former Volunteers, ,international Human Rights Comission,The DIANA Princess of Wales organization, the International Still's Disease Foundation, The World Friendship Force organization. Finally, Ersin Faikzade is currently working for world dialogue, friendship, music and peace concert all over the world. The International Human Rights Commission designated Mr. Ersin Faikzade, as the "Ambassador of Goodwill for Humanity" from 26th March 2011. "Ambassador at Large for Peace"
2012 Mediterrian Dario Moreno Friendship,Peace,Love and Music Award Given for ERSIN FAIKZADE. 12.ROTABEST TURKEY PEACE MAN OF 2013 AWARD WAS GIVEN FOR ERSİN FAİKZADE . ERSIN FAIKZADE ELECTED ONE OF THE MOST INFLUENTİAL FİGURES OF WORLD 2013 AND 2014 BY PRESENTED INTERNATIONAL WALDENBURG COLLEGES. ERSIN FAIKZADE HAS TAKEN PAKISTAN PEACE AWARD IN ISLAMABAD 2013 AND ALSO GIVEN PEACE CONCERT IN ISLAMABAD. 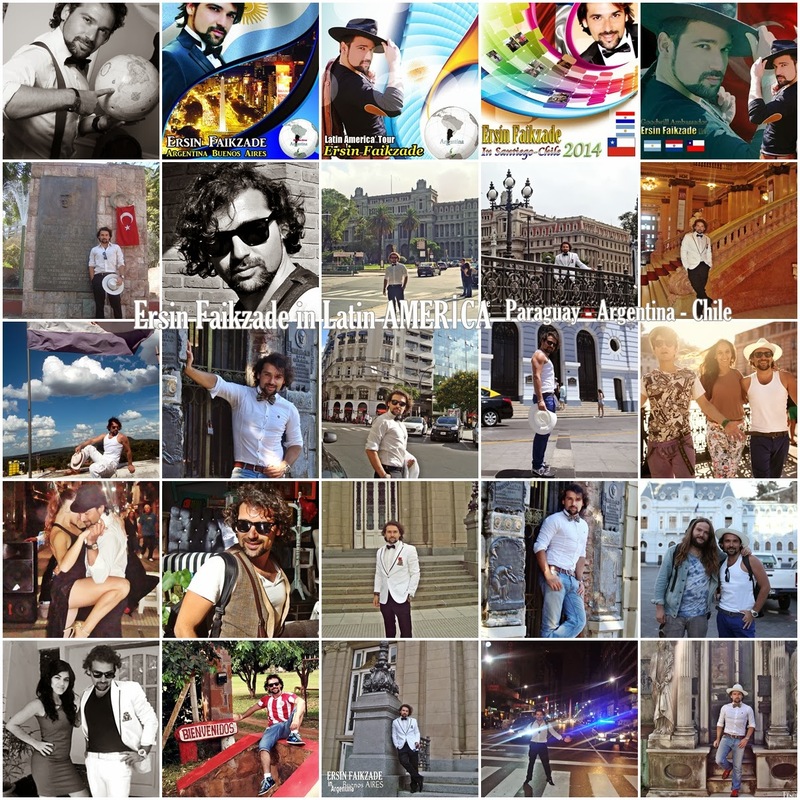 ~~2014 February He went to Latin America ,Paraguay,Argentina,Chile for humanity and music projects. And He met with his Latin American lovers. People give him this dubbed ''The Turkish Diamond Child of The Voice of Peace . May 2014 in FRANCE-PARIS - He taken Egalite - Fraternite - Liberte Honour Medall. ERSIN FAIKZADE has been chosen as one of the most influential figures in the world 2014 in the vote organized by the International Council of the Human Rights, Arbitration, Politics and Strategic Studies. In April 2016 Germany Hamburg ,He has been take Courage and Heroism Medal with ceremony. ''Ambassador Ersin Faikzade is working alot for the people who suffer due to disability, Children who need our help and Peace which is the dream of every one. May God give your more power to do more for the humanity.you are not only a star of silver screen or as Artists you are a real "STAR OF HUMANITY" as well. God have been and God will be on your side Ersin, not for the IHRC and Turkey but you are and you will be the 'known hero of the people' ( I just visited your side and listend few songs, oh my brother you are GREAT)...I will add "let the world know who Ersin Faikzade is" if they want to know "what music is"(music and songs which can touch the depth of the oceans and the himalaya's) well then it's ERSIN FAIKZADE !!! Padre Dennis Plaza From Naples Catolic Church :He is showing us Hope ,Love and humanity again,Thanks for all dear Ambassador ,We always remember you as a smile face of Humanity. 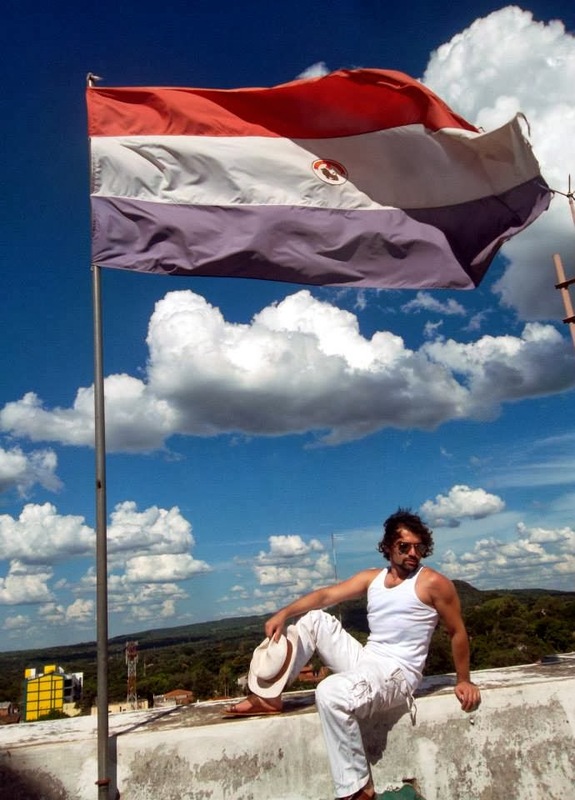 In 2017, Paraguay's fellow countrymen from South America were declared. In April 2017, Uruguay Montevideo and Brazil's Santa Vitoria de Palma were also involved in humanitarian projects. In August 2017, the Princess of Wales became the honor of Kensington Palace with the twentieth anniversary of Diana's death and participated in World TV. Finally, Concerts are continue for Humanity. ‘’’ it is short but things have been lived is so long in this voyage.